•If you don't think every day is a good day, just try missing one.~Cavett Robert •Never lose sight of the fact that the most important yardstick of your success will be how you treat other people.~Barbara Bush •What I hear I forget. What I see I remember. What I do, I know.~Chinese Proverb •I bring you the gift of these four words: I believe in you.~Blaise Pascal •The quality of a person's life is in direct proportion to their commitment to excellence, regardless of their chosen field of endeavor.~Vince Lombardi •It is a funny thing about life; if you refuse to accept anything but the best you very often get it. ~W. Somerset Maugham •He who sows courtesy reaps friendship, and he who plants kindness gathers love. ~Saint Basil •Life is like a game of tennis; the player who serves well seldom loses. ~Anonymous •Dreams get you started; discipline keeps you going.~Jim Rohn •Unless you try to do something beyond what you have already mastered, you will never grow. ~Ronald E. Osborn •You can have everything in life you want if you will just help enough other people get what they want.~Zig Ziglar •Zig Ziglar is a legend when it comes to motivation. This book compiles Zig's favorite life quotes - one for each day of the year. •A beautiful coffee table book with beautiful photography and a silk ribbon to mark your place. Makes a special gift for any occasion, only available from Simple Truths. •Start each day with a motivating thought from Zig himself. 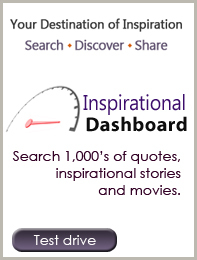 If you love quotes, you will love this book and the short inspirational DVD movie. •Share this inspiration with your friends, families, customers and employees - it is a gift book they will treasure. One of my favorite quotes from Zig Ziglar is, "People often tell me motivation doesn't last, and I tell them that bathing doesn't either. That's why I recommend it daily." This quote sums up the reason for this book - we all need daily motivation to keep us going in the right direction. Beautifully designed with wonderful photos, this coffee table book has an inspirational thought for each day of the year. It is a collection of quotes from Zig himself, and many others that have motivated him over the years. The only way to describe this book is breathtaking! A labor of love two years in the making, you will marvel at the award-winning photography, paired with quotes and short passages in this beautiful coffee table book. This extraordinary coffee table book Great Quotes from Great Leaders with FREE DVD will be a source of inspiration and knowledge for many years to come. Over 400 quotes from world famous leaders and 75 photos collaborate to form a captivating and treasured addition to any library. 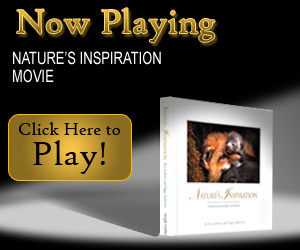 •A beautiful coffee table book with 25 chapters that lay out the building blocks of success •Contains 500 motivational quotes combined with beautiful photography and 25 short stories •A great gift for management, graduation, entrepeuners and anyone who needs the inspiration to follow their dreams Mac Anderson Loves quotes and he loves inspirational stories. That's why he wanted to publish a beautiful coffee table book The Best of Success w/Dvdthat combines both. Partnering with Bob Kelly, Mac lays out the 25 "building blocks" for success. Each "block", or chapter, begins with a great story and is reinforced with the very best quotes on that topic. This 8"x8" coffee table book has 160 pages, 500 quotes and great photographs throughout. It is truly a treasury of inspiration! •Greet change as a friend •Discover new paths •Roadblocks? Go around them •Your habits are your future •Get Started! •Go the Extra Mile •Give yourself Away •Your thoughts will shape your destiny Therefore, if you love inspirational stories and great quotes, you're going to treasure this book. "In a world where inspirational books are a dime-a-dozen, there is one book that captures the ehart and mind in a manner that has rarely - if ever - been done before. Inside this beautifully bound book are the perfect balance of stories, wonderful photographs, and inspirational quotes appropriately themed to address life's many twists and turns. Calling The Best of Success a 'book' is actually a misnomer; it would more accurately be called a work of art!" Simple Truths philosophy: There is one thing in life that took me a long time to learn, and that's... less is almost always more. This "simple truth" is the foundation on which our company was built. I wanted to create beautiful gift books that anyone can read in less than thirty minutes. To make each book special, we focused on three things: Great content, Great graphics, Great packaging to create a "wow effect"
We also chose not to offer our books in any bookstores or any retail outlets, to make it even more special as a gift. Satisfied customers are our #1 priority, so I encourage you to give us feedback on how we're doing. If we ever disappoint you, I hope you'll let us know, and we will do everything we can to make it right.